- Meet in Casablanca airport then transfer to your hotel. - Our rep will revise procedures of your holiday time. - Dinner & overnight in Casablanca hotel. 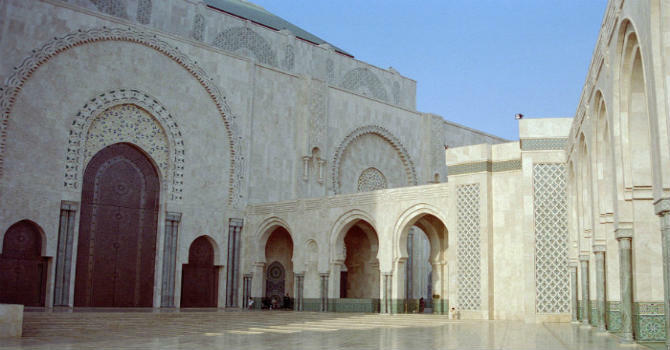 - Breakfast then relish trip to visit Casablanca sightseeing places. - Lunch meal then afternoon road travel for 240 Km to Marrakesh. - Arrive to Marrakesh hotel, dinner & overnight stay in Marrakesh. - Breakfast then relish Marrakesh sightseeing full day trip tour with lunch. - Afternoon strolling in Souks and local markets with optional local dinner. - Drive back to your hotel in Marrakesh for overnight stay. - Breakfast then drive back to Casablanca to wander the city landmarks. - Afternoon free time strolling Souks & local markets of Casablanca city. - Back to your hotel for dinner & overnight in Casablanca. - Drive to Mohamed V airport for the departure flight.